For the past five years, public firms across the United States have been searching out their supply chains for “conflict minerals” used to fund armed conflicts in Central Africa. 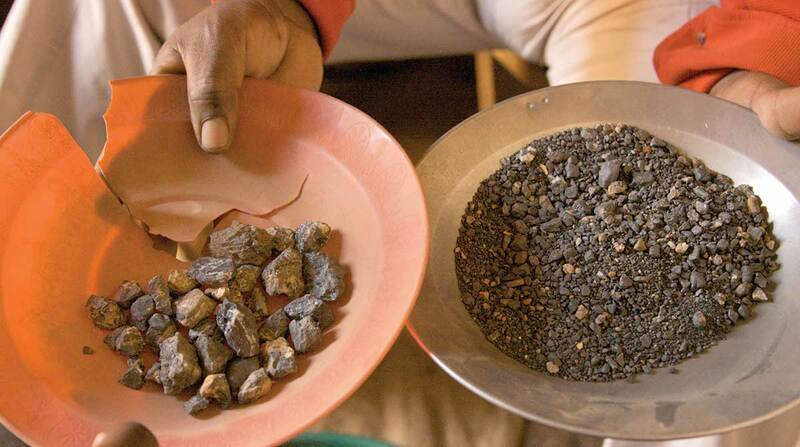 Many have even formed executive teams to conduct the search but still struggle to find all the tin, tantalum, tungsten and gold minerals — or 3TG — that the State Department says have links with armed groups who control smelters and refineries in the Democratic Republic of the Congo and nine other countries in the region. A sampling of the “specialized disclosure” reports filed for 2017 by several trucking-related companies reveals that like many other industries, they are not certain whether some of their products contain the conflict minerals that originated in the troubled region. “Yes, there has been progress, but there is more to be done,” said Tanya Bolden, who has been overseeing and educating the automotive industry about conflict mineral issues. The public company filings submitted earlier this year were in response to a mandate in the Dodd-Frank Wall Street Reform and Consumer Protection Act in 2010 and a subsequent U.S. Securities and Exchange rule enacted in 2012 that requires an estimated 6,000 public U.S. companies to search their supply chains for the minerals. “The large majority of the responses received provided data at a company or divisional level or were unable to specify the smelters or refiners used for components supplied to Wabco,” the company said in its 2017 report. In 2017, truck maker Navistar International said it focused on its direct suppliers in its truck segment — which account for 68% of its net sales and revenue — surveying the suppliers and reviewing entities identified as smelters that use minerals that are compliant. “Of the credible responses where information on specific products shipped to Navistar were received, five suppliers have indicated that they may have sourced from the covered countries,” Navistar said. “Because of our size, the complexity of our products, and the depth, breadth and constant evolution of our supply chain, it is difficult to identify second- and third-tier suppliers beyond our direct supply base,” engine maker Cummins Inc. said. The original equipment manufacturer added, “The large majority of the responses received provided data at the supplier company level or a division/segment level relative to the supplier, rather than at a level directly relating to a part number that the supplier supplies to us, or were otherwise unable to specify the smelters or refiners used for components supplied to us. Paccar Inc.’s report noted that in 2017 the company received responses from suppliers representing 93% of the total cost of its production purchases, an increase over last year and prior years. Likewise, Meritor Inc. said that while some of its smelters or refiners have been verified as being on the conflict-free smelter list, other remaining mines or locations of origin of the 3TG in its products remain unknown. “Meritor’s conflict mineral team remains committed to increasing the percentage of product level declarations in its effort to more accurately identify which smelters are actually a part of Meritor’s supply chain,” the company said.